COME SEE OUR OFFICE ON THE 2ND FLOOR OF THE SOUTH CAMPUS BUILDING TO MAKE SURE YOUR VOTER REGISTRATION IS UP-TO-DATE! 40-11TH ST W #230 -Monday -Friday 8 A.M. TO 5 P.M.
Election - May 7, 2019 7:00 a.m. - 8:00 p.m.
All Mail or Absentee ballots are due to the address on the envelope by 8:00 p.m.
Open of Candidate Filing April 18, 2019 at 8:00 a.m.
Close of Candidate Filing: June 17, 2019 at 5:00 p.m.
Absentee Ballots for the upcoming FEDERAL GENERAL ELECTION will be mailed on OCTOBER 12, 2018. Ballots will be sent to everyone on the absentee list. DEADLINE to register to vote and receive an absentee ballot in the mail isOCTOBER 9, 2018. Are you registered to vote in Flathead County? 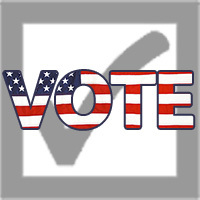 Find your polling place or view a sample ballot. Is your Voter Registration INACTIVE? We are looking for interested and qualified individuals to join our dedicated team of Election Judges! Have you ever considered serving your community by working at the polls on Election Day? Have you wondered how the election process works? The job of election judge is critical to our democracy, as voters depend on election judges to run polling places on Election Day. As an election judge in Montana, you will help ensure the state’s elections remain secure, fair, accurate and accessible to all voters. Your responsibilities would include supervising the conduct inside polling places and helping Montanans cast their ballot both privately and independently. If you would like to sign up to be part of the dedicated team that makes fair and accurate elections possible in Flathead County ,and you are a registered voter of Flathead County, fill out the application form and send it to the Election Department. We will contact you to set you up for a training session Working as an election judge is a great way to be involved in the process that makes our democracy work. Qualified voters may access the Electronic Absentee System by clicking on the icon above, beginning at 8 a.m. on SEPTEMBER 21, 2018 and through 8 p.m. on Election Day, NOVEMBER 6, 2018. Protect and promote accurate and impartial free and open elections while encouraging active participation by all citizens of Flathead County.